In their study, they looked at fifteen variables that dealt with every state’s economic health and their findings indicate a very gloomy and decaying past for states that are traditionally Democratic and voted for Hillary Clinton in the November election. The people in these blue states are in a depression, and not a statewide funk because they lost, but an economic depression. More people are leaving these states than are moving in. 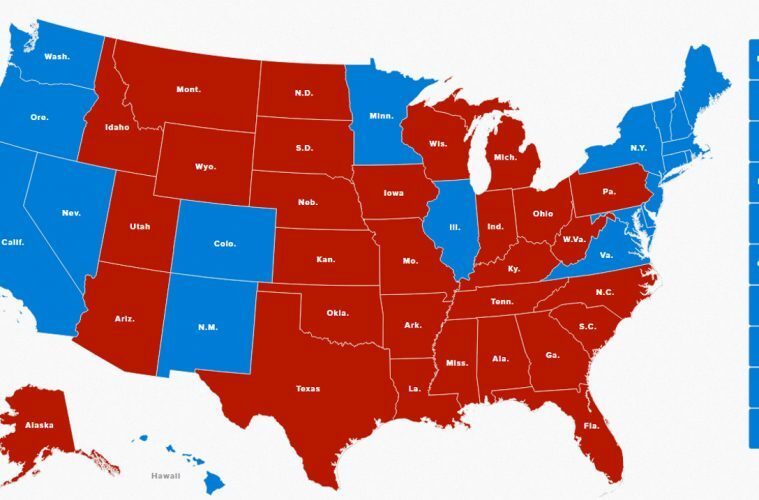 Of the 10 blue states that Hillary Clinton won by the largest percentage margins — California, Massachusetts, Vermont, Hawaii, Maryland, New York, Illinois, Rhode Island, New Jersey, and Connecticut — every single one of them lost domestic migration (excluding immigration) over the last 10 years (2004-14). Nearly 2.75 million more Americans left California and New York than entered these states. New York has taken a hit of nearly 1.5 million from 2005 to 2014 in their state’s residency, more than any other state.